Good accomodation, good direct bus service to airport, clean building, friendly reception,... 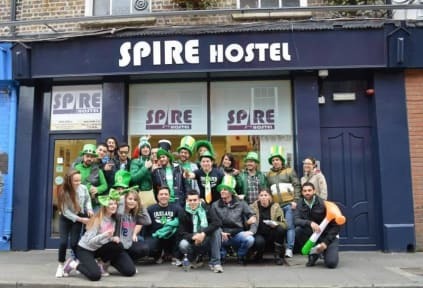 I enjoyed my stay at the spire hostel, thanks! Good beds, decent breakfast, good security. What do you want more? Good location. Had a great time in Dublin. The hostel was clean, nice staff. The common room and the terrace outside are good places to meet fellow travelers. Just a couple of minutes walking to the bus station.